Surround your window sample in the timeless beauty of real oak. 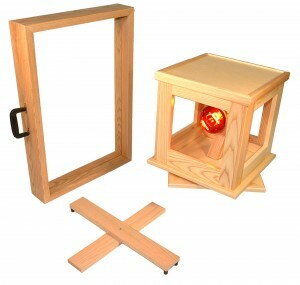 Alpack offers a sturdy, attractive display case handcrafted from solid red oak. Whether in a showroom, shopping mall or home show, eye-level floor displays attract customers.